Hi Ian - my point exactly - seems like when it comes to a coffee feature, every newspaper puts on a junior reporter with the instructions to 'go out and try a few cafes' - and then end up with a feature supposedly telling readers what's best, based on their supposedly authoritative research. Does the MOS cafe still make great coffee. I like Sydney's cafe culture better than Melbourne due the great locations they have. The SMH's Good Food Guide has just come out. Interesting that they don't mention Campos or Mecca [in the city], but they do mention Single Origin. The don't call it 'best cafes' tho - seems just a random listing of cafes. One that I didn't read previously regarding coffee in Sydney is [glow]The Source in Mosman[/glow]. It's probably in my top 2 at the moment. Super passionate about coffee, using St Ali's and a few other single origins, pulled through a Synesso Sabre. Just recently invested in a little roaster. Had some of the Rawandan roasted out of it at a recent cupping event and it was delish. The other one is Cordial in Newtown. I'd go there most days of the week before Campos (up the road). They serve up The Golden Cobra coffee. Had a look at the SMH's guide, and it's interesting that it only mentions two brands of coffee - Single Origin and Toby's Estate - otherwise they don't mention the coffee brand that the cafe sells. Hi guys - we're now doing our research into making up a shortlist of best cafes of Sydney for the next issue. We know most of the ones mentioned here [of course], but it's always good to look at fresh talent. Any new cafes, or ones that you think should be on the list, please add here over the next couple of weeks! Mecca Espresso (City) - Mecca's own Blend. Very good espresso shot. For me however, their milk based coffees were not really suitable for this coffee, it just didn't come through even if you order it stronger. Not much lingering aftertaste. I have probably tried a few more coffees here and there in Sydney but they were worth reviewing. In case you were wondering, the best coffees I had which impressed me were Sonoma Bakery and Grind 2. Followed by Cafe Ish. All these 3 had top notch baristas. I think Campos impressed me in a way too but it was missing something somehow, in fact Sonoma Bakery had a similar style of coffee without the ragged edges. Overall I have to say that Melbourne generally has better coffee than Sydney though. Hi Omotesando - thanks for your very thoughtful comments here - most welcome! Agree with most of your comments, although just one point - with respect to Coffee Guide - we take their ratings with a grain of salt for the simple reason that [at least until recently] many of their reviews were paid - and I wouldn't expect them to give a truly objective rating to a cafe that had paid them! Also, they write nicely, but I have no idea as to the experience or quality of their reviewers from a professional coffee point-of-view. Omotesando, what a breath of fresh air! So good to see some new names and locations for me to google and include on my coffee shop radar. Kudos on reviewing the coffees both as a milk based & as a sb/rist. I typically steer clear of 'best coffee' topics, mainly attributable to a fear of excruciating monotony, but your insights proved to be worth the read. Yes, with regards to that so called Coffee Guide I found the Sydney version to be lightly unprofessional and off the mark to be honest, as you can see with my massive scoring differences with them? Not sure if its 'paid reviews' related or just because they were not professional enough. I actually find the Melbourne version for their book to be slightly more relatable but still objectively speaking, not consistent enough. Just reading some older threads since I'm new here and realised some of what you and others mentioned are similar to what I think. For example you mentioned that Mecca Espresso worked well as a D.Ristretto but not for Double Flatwhite. I had virtually the same experience, now that's independent judgment. I actually believe different people develop their coffee senses from a different base and most pertinently it develops over time. I must admit there was a time when I began with Starbucks and Gloria Jeans and did think their coffee was okay. Then there were times that I enjoyed Coffex or Vittoria or Genovese, etc. Took time to build it up. So when I review coffees, I try to review it both for myself (and stick to the good ones!) but also consider the fact that not everyone else have developed palates or knowledge as the experts or aficianados. With Sydney's coffee, one trend I noticed is that out of the Top 5 or 10 coffee places, barely a few roast their own coffee (except Single Origin and Campos). In fact the coffees I liked the best were not roasted in-house. Furthermore none of the ones I visited offered single-origin beans to the customers as an experience. Both these things were very different to the Melbourne coffee scene, where most shops offered both or even if not self-roasted, still offer various beans from various regions for trying. I also feel the Sydney coffees are overly sweet, caramelly or nutty and fail-safe in approach in general. If customers up there are happy with it then I must assume they are in a learning phase of knoing coffee as I once have gone down that path. This smallish coffee shop has some basic food and the coffee bean they used is roasted by Jack Henna, the 2007 World Latte Art Champion. He wasn't there on my day of visit but apparently he surfaces sometimes on the weekends to do your coffee. I tried his espresso as well as a Cap. No latte art by the way, although not a bad coffee by the girl barista there by any measure. Reddish crema, slightly acidic, pleasant mouthfeel but not overly impressive aftertaste. Cappucino was slightly better, in fact I quite liked it, reminded me of a berry and chocolate character. Its another odd one out in Sydney for me. Someone mentioned to me they didn't enjoy this coffee at all, whereas I thought it pleasant in a way even if unimpressive. Heading in the right direction? Also tried some unknown shop selling a blend of Dane's coffee (a roaster in Sydney I believe). Was actually quite pleasant as well, very thick and very rich, poured like syrup, long aftertaste but not much sophistication, mostly chocolate. Quick question on methodology: as you know, we're currently doing our research for Sydney's Best Cafes feature, to be published in the Summer issue of Crema. for those who don't know, we have in past done Top 5 cafes, ranked from one to five. One of the things I'm wondering about is whether we should rank them [ie 1-5]? The other option would be just to have Top 5, but no ranking. The reason I'm thinnking about doing it this way, is that we all know that coffee can vary during the day, or during the week, depending on barista, etc. Also that all reviewers have slightly different criteria and opinions. Therefore saying that this cafe is no.1 and that cafe is no.2 [with that rating lasting a full year] is fraught with danger. On the other hand, the danger of doing this -ie Top 5 but no ranking, is that we're leaving ourselves open to the charge of 'not putting our money where our mouth is'. Would be interested to know your thoughts. IMO, I really think this is a case by case (or state by state) situation. I think if there is really a clear winner, then they should be rewarded/congratulated for their hard work. And the same for places 2 through 5. But in some situations, for the reasons mentioned above, I really beleive its just impossible to say X cafe is better than Y. And so, I personally don't think there's anything wrong with listing a top 3 or 5 in no particular order, when the situation calls for it. Yeah I agree with you there Ian. In regards to the Coffee Guide, I didn't know that there was money changing hands with the reviews. Kinda makes sense though with some of the outrageous reviews some super crap joints got. And some that deserved better with their efforts in providing top notch coffee only got average remarks. One thing I do like is that they rate both the coffee and the ambience seperately (is adding them fair to come to one scale? I'm not so sure about that). There are some cafe's that are great places to sit and eat, but the coffee blows; then there are some espresso bars whose coffee excels, but you don't really want to hang around and soak up the 2mx2m walls surrounding you, and standing room only. Just a thought anyway. If the Melbourne "Best Cafe's" is anything to go by, you guys did a great job. I personally had the pleasure of visiting Melbourne last week, for a week while attending the Palate Training course at the Coffee Academy, and visited all the cafe's in that issue. All fabulous, bar one, which I had just and average coffee. It wasn't top 5 though FWIW. Personally too, I'd rather sit on a milk crate while drinking fabulous coffee rather than have a well designed, schmick lookin joint, with below par coffee. Although having both is a luxury. Dan, I do wonder which Cafe/Coffee place in Melbourne you visited that didn't satisfy your coffee demands? 1) From my point of view, I find that the Top 5's in both Melb and Sydney had enough differences to warrant having them separated by a ranking or score. Clearly, some were better than the others. Although each day or each visit might produce variances in performances, not to mention sometimes a particular gun barista might have a day off (or training for championships), I'm sure the majority of us coffee freaks visit the venues enough times, during a particular period, to be able to judge them on an overall basis. Afterall it ain't a once off experience... or... judgment. A top notch coffee venue should be consistent enough to take into consideration the discrepancies? 2) I actually find that overall, on this forum, the level of expertise of forumers are so high that most coffees are rated and slightly biasedly based on the Espresso/Ristretto experiences - If I'm not incorrect? Relative to say some other people or books who might review them in a slightly different light. I think if I were to review coffees as SB/Rist or Milk based coffees, I might rank the venues slightly differently. Besides, a lot of readers/customers do enjoy and order milk coffees too. It depends on the audience. 3) I sincerely feel that only a Top 5 coffees rating might not be enough. In Melbourne for example, there are certainly more than 5 cafes that offer a near-perfect experience at any one time. I could count 7-8 and it is still growing. This is probably slightly contradictory to no. (1) mentioned above. In reality if a score was given to each venue say out of 100 (Robert Parker Jr style... arr hemm), then its possible a few of them will score equally or some might be better than others. The top scorers will be within the Top 5 finalists but not necessarily mean being ranked no.3 is better than no.4, as long as their scores are equal, whereas no.1 coffee will almost definitely have a higher score? Gets too confusing somehow. :-? that's a shame - it really is disappointing. Yes but wouldn't they be paid by the Coffee Guide? ie not the cafe. If they are paid by the Coffee Guide then thats fine, but if they are paid by the cafes then you have some ostensible bias. Tommy - paid by some of the cafes was my understanding. Who told you that the cafes are paying for reviews in the coffee guide? I certainly didn't pay for the review of my cafe nor have any of the other cafes I work with or recommended for the Melbourne guide. Cafes can pay to have an editorial and photo but not all of them are paid, I have no knowledge of cafes paying for favourable reviews though. The only reason I see that there are such variances in reviews is due to reviewers having different palettes and expectations from a cafe. That's why I dont agree with reviews, scores etc because who knows what the reviewer is looking for, what they consider a great coffee might be undrinkable for others. And it's not right to judge any cafe on a single coffee or visit. It's too easy to ruin the reputation or build an undeserving reputation of a cafe based on a review from someone you dont know. Sorry is it possible to reveal which cafe or affiliations you have in Melbourne (may be offline)? Just out of fairness and curiosity. I think 'paid' editorials is a big no-no as a general standard. The audience cannot tell which one was or wasn't paying for a spot, however much fair or accurate the resulting review is. Great to hear yours isn't involved in that sort of way. Anyway I agree that different reviewers might have different preferences, it goes with almost any sort of review books from movies to music to food to wine. Its all about trusting the reviewing teams and their tolerances or accurate descriptions. I did find that in Melbourne the general consensus is pretty good on what's hot and what's not, in fact I find it mostly agreeable. The Sydney experience even with multiple visits to some places, left me dumbfounded as it was off the mark compared to the Melbourne scene. Some that were 'scored' the same or similar were nowhere near one another, so much so that I found it a waste of my time to go out of my way to try them out. Hi Andreas - Mark Scandura [head of the Coffee Guide] told me that at the launch of the 2008 Guide in Sydney. We were invited because they were hoping we would promote the guide - unfortunately after he admitted some of the reviews were paid for, we didn't feel we could honestly promote it for them. Hi Andreas - which cafe are you from? Maybe you should have done a paid review - you might have got a better score!! Sorry is it possible to reveal which cafe or affiliations you have in Melbourne (may be offline)? Just out of fairness and curiosity. Hi guys - we've been doing our research for a couple of months now - consider this the last call for any Sydney cafes we should be considering for our Sydney's best cafes feature in the upcoming Summer issue. Please note: please can we go back to the original purpose of this topic, which was suggestions as to Best cafes of Sydney. 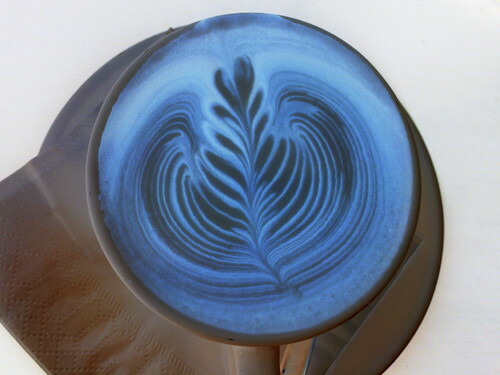 I have moved a couple of posts & started a new topic on The Coffee Guide integrity issues under the Have your say thread. Please continue any discussion on that subject there. False Promotion - Sydney's best coffee?